I did it! 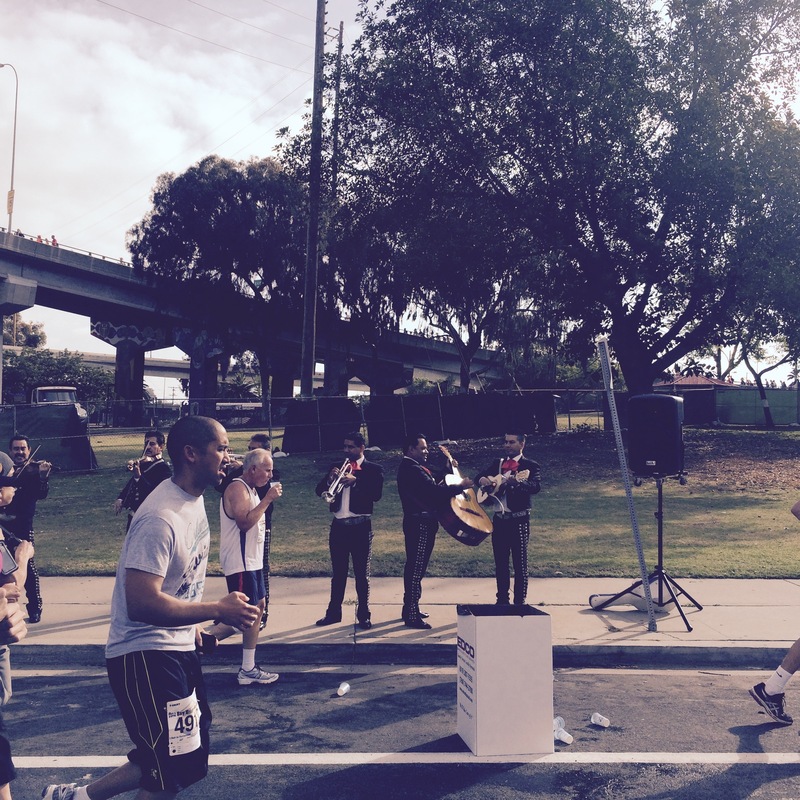 I ran across the Coronado Bridge on Sunday morning with about 10,000 people, The Boy and The Husband. The Boy ditched me immediately after we crossed the start line, but is forgiven because he had a finish time of about ten minutes better than me, so, good on him. While this was for a great cause, and I had a great time running with our neighbor’s SDG&E team, these runs with the 5 a.m. wake up times cause me to seriously to question my sanity… or at least decision making abilities. 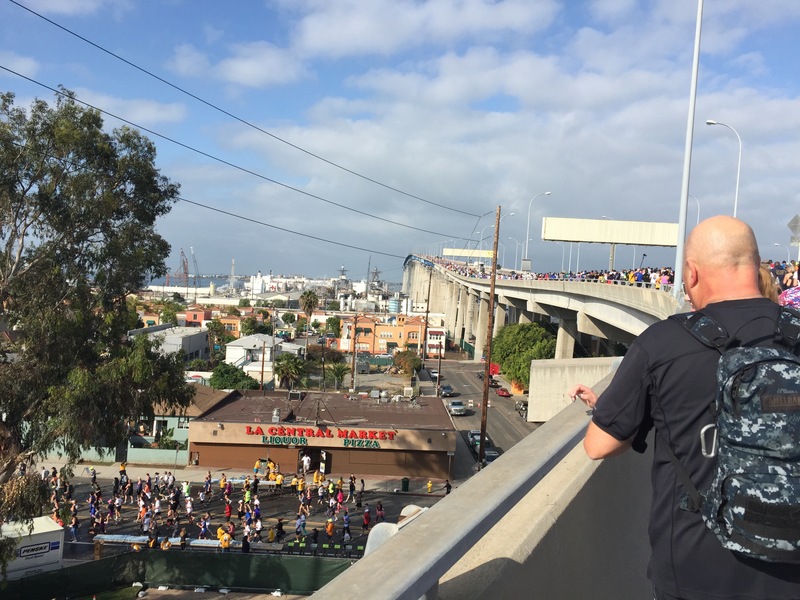 We ran across the bridge with a reservist who told us about his five tours on active duty, and dozen more as a reservist. He had speakers tucked in a backpack playing military running cadences for the group’s motivation- it sure helped me get up the bridge. When asked, he suggested that civilians who are interested in donating time and treasure to returning soldiers should look into the Wounded Warrior Project for a reputable organization to guide us. 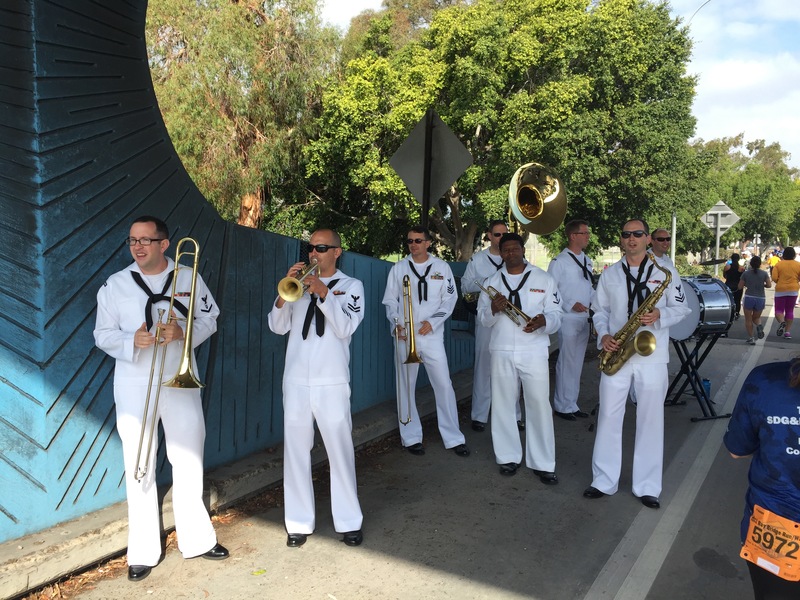 Before we actually hit the Coronado bridge, we passed a mariachi band playing for the throng, but on the other end of the bridge was the Navy brass band to help us finish- what a great way to wrap up the run! 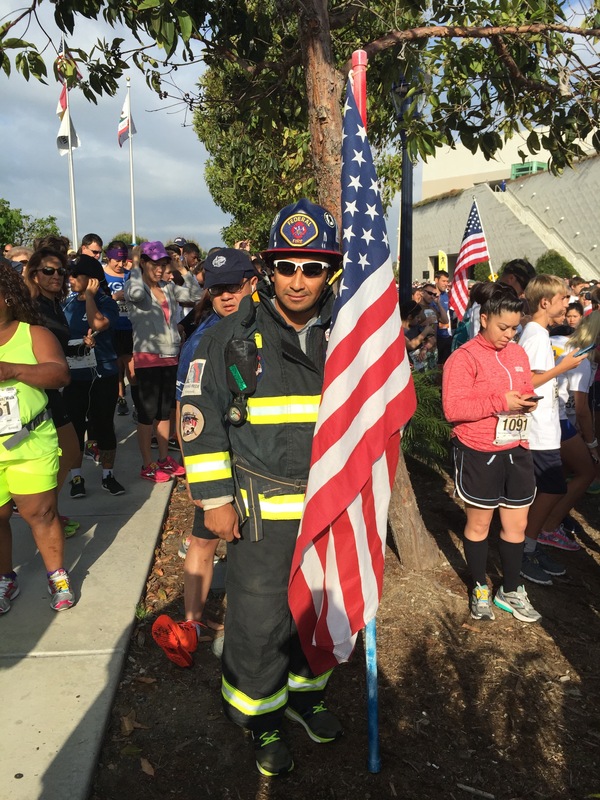 This honorable man ran the four plus miles in full gear and holding the flag. He wasn’t the only one I saw running with a flag and gear, either. From the home page of the Navy Bay Bridge Run you can read that “this annual Navy-hosted event includes the public in raising money for the Navy’s Morale Welfare and Recreation (MWR) programs.” It was an honor to run with these men and women on active duty, reserve and retired status, and all us civilians pitching in a tiny bit to bring attention and funds to America’s navy personnel. An honor and a privilege. Next Next post: Burros, not Burritos- Have You Discovered El Pescador Yet?